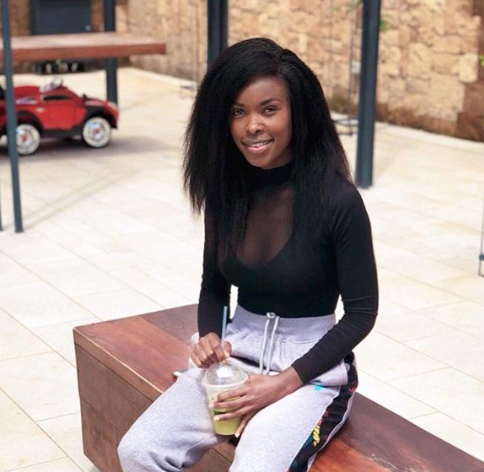 Comedian Awinja AKA Jacky Vike was blessed with a kid 12 months ago with the love of her life, however the baby’s identity remained a secret. 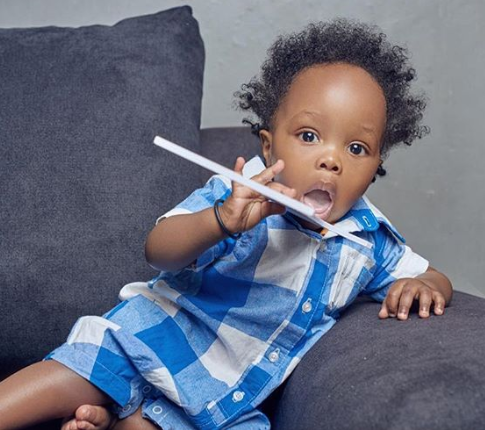 Now that he is all grown up, Awinja shared his photo on her Instagram page leaving many wowed by how gorgeous he looks. Though his face was not yet to be unveiled their is no doubt that the actress has a handsome boy. The actress has now revealed her son for the first time ever and he’s such a handsome boy. She posted a nice messsage while unvailing her face. “A day like today, after 8 hours of labour (uuuuwi!!) God Blessed me with our Son, a gift that changed my life , I have learnt patience, Sacrifice, priorities,forgiveness and appreciation of life in so many ways. He has made me become more closer to God . And I thank the most high for his guidance through this motherhood journey HAPPY BIRTHDAY MOSI . I love you so much! I remember we had not chosen any name by the time he was born and since he was born on Saturday, his Dad suggested MOSi from jumamosi or One how cute! And yes you can call me Mama Mosi. Salute to all parents, its not not easy but best job ever.